Flight tickets to France are hot-ticket items all year round, with tourists pouring into the country 24/7 and no real off-season. However if you want to beat the biggest crowds and find cheap flights to France, consider traveling during the fall and winter months. While Paris is one of the classiest cities in the world and France is the number one travel destination for many North Americans and global travelers, you can always find cheaper airfare if you know where to look. There are three primary ways to find flight tickets to France. 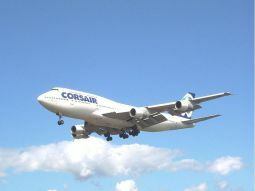 You can search the Internet, compare different international airfares, and make the arrangements yourself. You can also book a flight through an online travel agent who will take care of all your travel needs, such as car rental, hotel reservations, and travel insurance. Finally, you can visit your local travel agent office and hire an agent to find the best travel-to-France deals. Before reserving your flight tickets to France you should know that this region is served by two major airports: Roissy/Charles de Gaulle (CDG) and Orly (ORY). CDG primarily handles international flights, is located 14.5 miles outside of the city center, and is easily accessible by public transportation (bus, taxi, and train). ORY typically deals with domestic flights within France, is located nine miles south of the city, and is only a 15-minute car drive from the city center. Finally, Paris Beauvais serves as a secondary airport around Paris where many budget or low-cost carriers land. It is located approximately an hour's travel away from the city and services only a limited number of airlines. Once your flight tickets to France have been booked, your bags are packed and you're ready go, the only things left to do are to fasten your seatbelt, say Bon Voyage, and enjoy the ride! World Travel Options - Feed your travel bug here and find inspiration for your next vacation. You can book accommodation, flights, tours and more. Also meet Marly, my globetrotting teddy bear.